Long March 3B lifted off from the Xichang Satellite Launch Center at 16:25 UTC and began heading to the south-east, sticking to a standard GTO-ascent profile taking the 56-meter tall rocket across the Chinese mainland before passing over the Pacific Ocean. 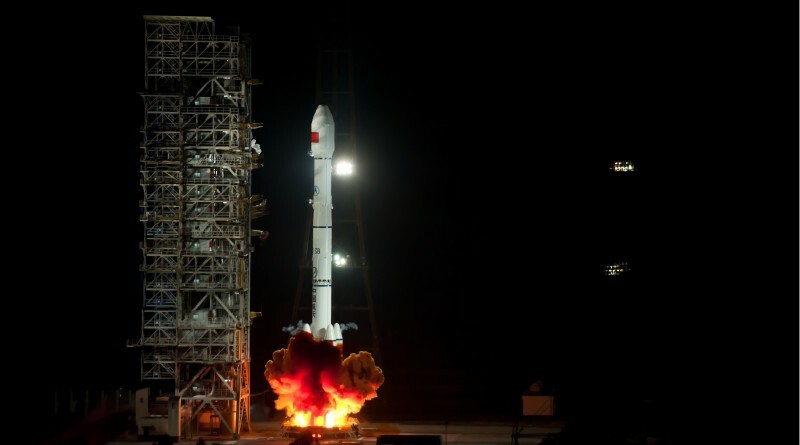 The heavy-lifter in the current Long March fleet burned its four liquid-fueled boosters for 140 seconds before they dropped away and left the CZ-3B rocket powered by its core stage alone, burning for another 18 seconds. The second stage fired for nearly three minutes before handing off to the cryogenic third stage of the otherwise all-hypergolic vehicle. The first burn of the third stage put the stack into a Low Earth Parking Orbit below 200 Kilometers in altitude for an 11-minute coast to set up the proper insertion parameters. The second burn of the third stage raised the apogee of the orbit to Geostationary altitude and placed the apogee location above the equator to ease the process of transferring the satellite to Geostationary Orbit. 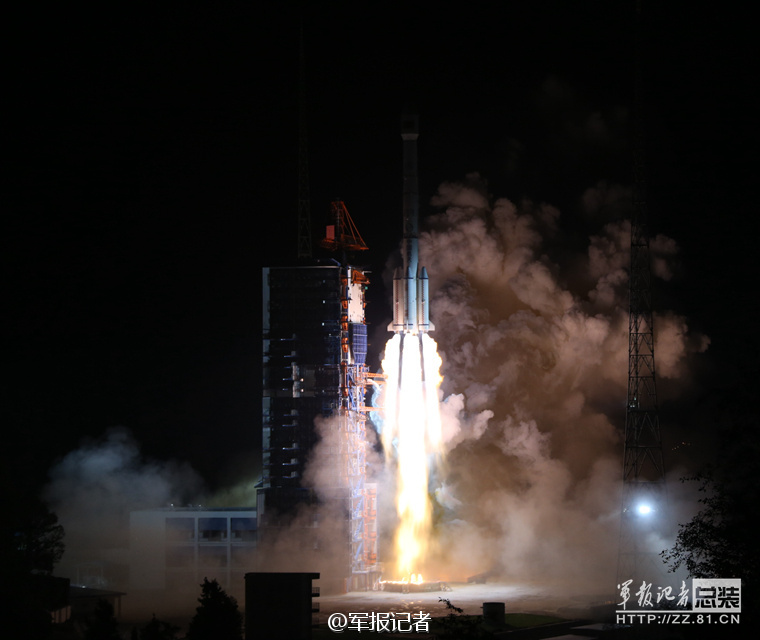 Spacecraft separation occurred 26 minutes after liftoff, though official confirmation of launch success was not available several hours after Chinasat-2C was deployed. Object A represents the Chinasat-2C satellite reaching a good Geostationary Transfer Orbit while Object B is the spent third stage of the Long March 3B that conducted avoidance maneuvers after satellite separation, explaining the higher orbit. Based on the DFH-4 satellite platform, Chinasat-2C will begin the climb to Geostationary Orbit in the coming days to take up station in an undisclosed orbital slot.